Pine, W. E., J. E. Hightower, L. G. Coggins, M. V. Lauretta, and K. H. Pollock. 2012. Design and analysis of tagging studies. Pages 521-572 in A. V. Zale, D. L. Parrish, and T. M. Sutton, editors. Fisheries techniques, 3rd edition. American Fisheries Society, Bethesda, Maryland. Harris, J. E., and J. E. Hightower. 2011. Identification of American shad spawning sites and habitat use in the Pee Dee River, North Carolina and South Carolina. North American Journal of Fisheries Management 31:1019-1033. Allen, M. S., and J. E. Hightower. 2010. Fish population dynamics: mortality, growth, and recruitment. Pages 43-79 in W. A. Hubert and M. C. Quist, editors. Inland Fisheries Management in North America. American Fisheries Society. Bacheler, N.M., J. E. Hightower, S. M. Burdick, L. M. Paramore, J. A. Buckel, and K. H. Pollock. 2010. Using generalized linear models to estimate selectivity from short-term recoveries of tagged red drum Sciaenops ocellatus: effects of gear, fate, and regulation period. Fisheries Research 102:266–275. Harris, J. E., and J. E. Hightower. 2010. Evaluation of methods for identifying spawning sites and habitat selection for alosines. North American Journal of Fisheries Management 30:386–399. Smith, W. E., F. S. Scharf, and J. E. Hightower. 2009. Fishing mortality in North Carolina’s southern flounder fishery: direct estimates of instantaneous fishing mortality from a tag return experiment. Marine and Coastal Fisheries: Dynamics, Management, and Ecosystem Science 1:283-299. Bacheler, N. M., J. A. Buckel, J. E. Hightower, L. M. Paramore, and K. H. Pollock. 2009. A combined telemetry – tag return approach to estimate fishing and natural mortality rates of an estuarine fish. Canadian Journal of Fisheries and Aquatic Sciences 66:1230-1244. Bacheler, N. M., L. M. Paramore, J. A. Buckel, and J. E. Hightower. 2009. Abiotic and biotic factors influence the habitat use of North Carolina subadult red drum Sciaenops ocellatus. Marine Ecology Progress Series 377:263-277. Waters, C. T., and J. E. Hightower. 2007. Effect of Water Quality on Hatching Success of Blueback Herring Eggs in the Chowan River Basin, North Carolina. 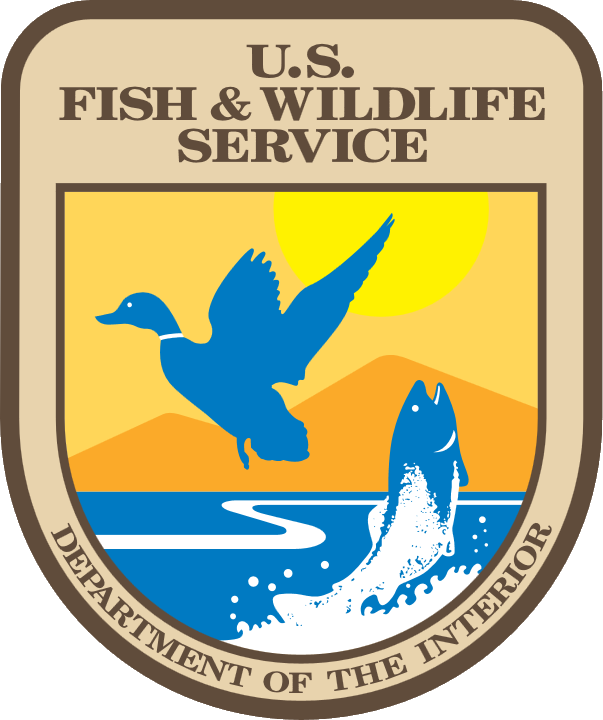 Proceedings of the Southeastern Association of Fish and Wildlife Agencies 61:23-28. Bacheler, N. M., J. E. Hightower, L. M. Paramore, J. A. Buckel, and K. H. Pollock. 2008. An age-dependent tag return model for estimating mortality and selectivity of an estuarine-dependent fish with high rates of catch and release. Transactions of the American Fisheries Society 137:1422-1432. Tuomikoski, J. E., P. J. Rudershausen, J. A. Buckel, and J. E. Hightower. 2008. Effects of age-1 striped bass predation on juvenile fishes in western Albemarle Sound. Transactions of the American Fisheries Society 137:324?339. Adams, P. B., C. Grimes, J. E. Hightower, S. T. Lindley, M. L. Moser, and M. J. Parsley. 2007. Population status of North American green sturgeon Acipenser medirostris. Environmental Biology of Fishes 79:339-356. Jiang, H., C. Brownie, J. E. Hightower, and K. H. Pollock. 2007. Estimating fishing mortality, natural mortality, and selectivity using recoveries from tagging young fish. North American Journal of Fisheries Management 27:773-781. Erickson, D. L., and J. E. Hightower. 2007. Oceanic distribution and behavior of green sturgeon. Pages 197-211 in J. Munro, D. Hatin, J. E. Hightower, K. McKown, K. J. Sulak, A. W. Kahnle, and F. Caron, editors. Anadromous sturgeons: habitats, threats, and management. American Fisheries Society, Symposium 56, Bethesda, Maryland. Laney, R. W., J. E. Hightower, B. R. Versak, M. F. Mangold, W. W. Cole, Jr., and S. E. Winslow. 2007. Distribution, habitat use, and size f Atlantic sturgeon captured during cooperative winter tagging cruises. Pages 167-182 in J. Munro, D. Hatin, J. E. Hightower, K. McKown, K. J. Sulak, A. W. Kahnle, and F. Caron, editors. Anadromous sturgeons: habitats, threats, and management. American Fisheries Society Symposium 56, Bethesda, Maryland. Oakley, N. C., and J. E. Hightower. 2007. Status of shortnose sturgeon in the Neuse River, North Carolina. Pages 273-284 in J. Munro D. Hatin, J. E. Hightower, K. McKown, K. J. Sulak, A. W. Kahnle, and F. Caron, editors. Anadromous sturgeons: habitats, threats, and management. American Fisheries Society, Symposium 56, Bethesda, Maryland. Thompson, J. S., D. S. Waters, J. A. Rice, and J. E. Hightower. 2007. 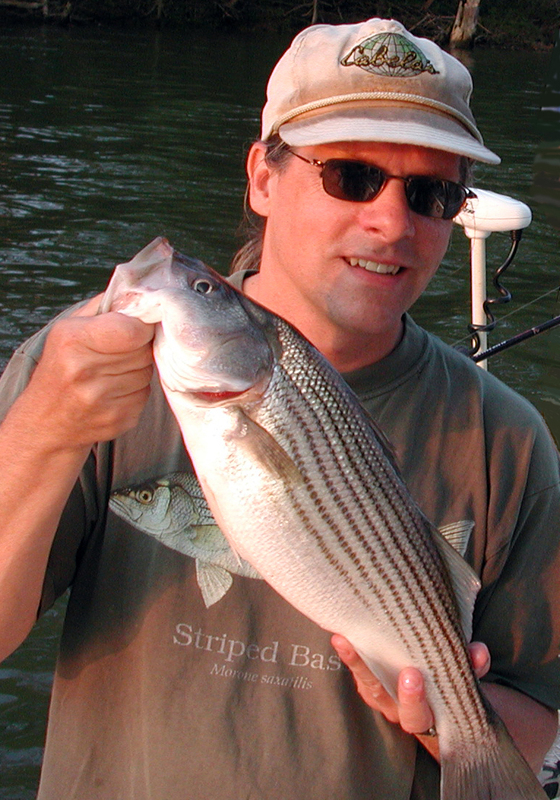 Seasonal fishing and natural mortality of striped bass in a southeastern reservoir. North American Journal of Fisheries Management 27:681?694. Jiang, H., K. H. Pollock, C. Brownie, J. E. Hightower, J. M. Hoenig, and W. S. Hearn. 2007. Age Dependent Tag Return Models for Estimating Fishing Mortality, Natural Mortality and Selectivity. Journal of Agricultural, Biological, and Environmental Statistics12:177-194. Jiang, H., K. H. Pollock, C. Brownie, J. M. Hoenig, R. J. Latour, B. K. Wells, and J. E. Hightower. 2007. Tag Return Models allowing for Harvest and Catch-And-Release: Evidence of Environmental and Management Impacts on Striped Bass Fishing and Natural Mortality Rates. North American Journal of Fisheries Management 27:387-396. Hightower, J. E., and C. Nesnow. 2006. Distribution and Abundance of American Eels in the White Oak River Estuary, North Carolin. Southeastern Naturalist 5(4):693-710. Burdick, S. M., and J. E. Hightower. 2006. Distribution of spawning activity by anadromous fishes in an Atlantic slope drainage, after the removal of a low-head dam . Transactions of the American Fisheries Society 135:1290-1300. Cope, W. G., M. R. Bartsch, and J. E. Hightower. 2006. Population dynamics of zebra mussels Dreissena polymorpha (Pallas, 1771) during the initial invasion of the upper Mississippi River, USA. Journal of Molluscan Studies 72:179-188. Rudershausen, P. J., J. E. Tuomikoski, J. A. Buckel, and J. E. Hightower. 2005. Prey selectivity and diet of striped bass in western Albemarle Sound, North Carolina. Transactions of the American Fisheries Society 134:1059-1074. Waters, D. S., R. L. Noble, and J. E. Hightower. 2005. Fishing and natural mortality of adult largemouth bass in a tropical reservoir. Transactions of the American Fisheries Society 134:563-571. Ricks, B. R., J. E. Hightower, and A. M. Wicker. 2004. Preliminary Assessment of an Alaska Steeppass Fishway on a North Carolina Blackwater Creek. Proceedings of the Annual Conference, Southeastern Association of Fish and Wildlife Agencies 58:92-99. Pollock, K. H., H. Jiang, and J. E. Hightower. 2004. Combining telemetry and fisheries tagging models to estimate fishing and natural mortality rates. Transactions of the American Fisheries Society 133:639-648. Pine, W. E., K. H. Pollock, J. E. Hightower, T. J. Kwak, and J. A. Rice. 2003. A review of tagging methods for estimating fish population size and components of mortality. Fisheries 28(10): 10-23. Hightower, J. E., and K. L. Sparks. 2003. Migration and spawning habitat of American shad in the Roanoke River, North Carolina. Pages 193-199 in K. E. Limburg and J. R. Waldman, editors. Biodiversity, status, and conservation of the world's shads. American Fisheries Society, Symposium 35, Bethesda, Maryland. Schmidt, R. E., B. M. Jessop, and J. E. Hightower. 2003. Status of river herring stocks in large rivers. Pages 171-182 in K. E. Limburg and J. R. Waldman, editors. Biodiversity, status, and conservation of the world's shads. American Fisheries Society, Symposium 35, Bethesda, Maryland. Armstrong, J. L., and J. E. Hightower. 2002. Potential for restoration of the Roanoke River population of Atlantic sturgeon. Journal of Applied Ichthyology 18(4 - 6): 475-480. Erickson, D. L., J. A. North, J. E. Hightower, J. Weber, and L. Lauck. 2002. Movement and habitat use of green sturgeon Acipenser medirostris in the Rogue River, Oregon, USA. Journal of Applied Ichthyology 18:565-569. Hightower, J. E., K. P. Zehfuss, D. A. Fox, and F. M. Parauka. 2002. Summer habitat use by Gulf sturgeon in the Choctawhatchee River, Florida. Journal of Applied Ichthyology 18:595-600. Fox, D. A., J. E. Hightower, and F. M. Parauka. 2002. Estuarine and nearshore marine habitat use By Gulf sturgeon from the Choctawhatchee River system, Florida. American Fisheries Society Symposium 28:111-126. Jackson, J. R., and J. E. Hightower. 2001. Reservoir striped bass movements and site fidelity in relation to seasonal patterns in habitat quality. North American Journal of Fisheries Management 21:34-45. Beasley, C. A., and J. E. Hightower. 2000. Effects of a low-head dam on the distribution and characteristics of spawning habitat used by striped bass and American shad. Transactions of the American Fisheries Society 129:1372-1386. Fox, D. A., J. E. Hightower, and F. M. Parauka. 2000. Gulf sturgeon spawning migration and habitat in the Choctawhatchee River System, Alabama-Florida. Transactions of the American Fisheries Society 129:811-826. Hightower, J. E., W. J. Fleming, and M. A. Hayman. 1999. Effects of contaminated sediments on brown bullhead age structure, growth, and condition in a North Carolina tidal creek. American Fisheries Society Symposium 24:161-172.